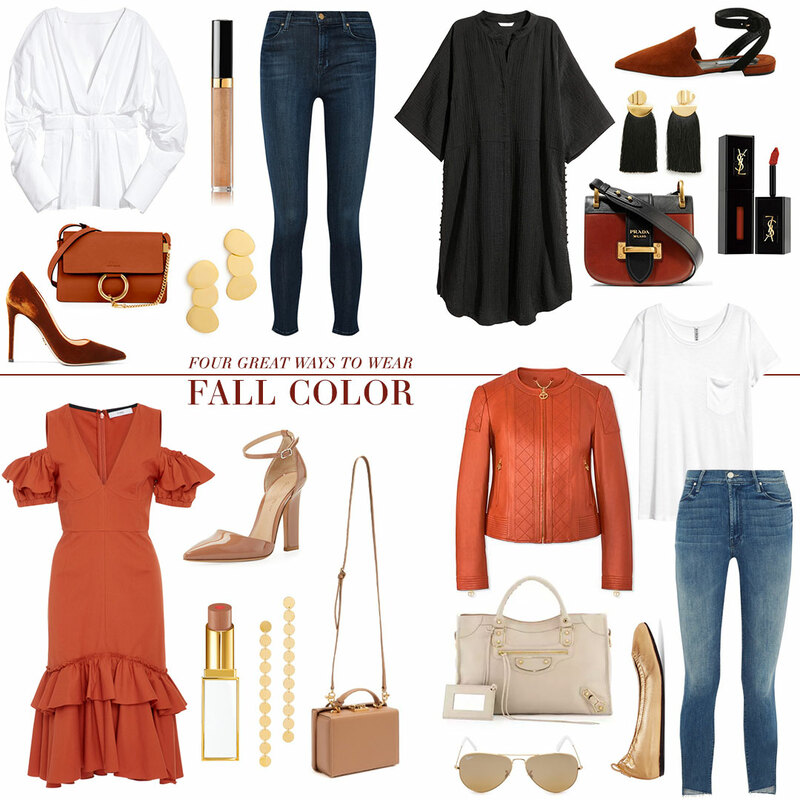 Maybe it’s because I’m from Austin and a fan of the Longhorns, but I’m reeeeally into this rust/burnt orange color that’s become a huge trend for fall. While it obviously makes me think of football season here in Texas, this rich hue also gives me all the fall foliage feels. It totally reminds me of all the gorgeous leaves we saw in Arashiyama last November… so gorgeous! Here are four different looks featuring this fun and fashionable shade for the coming season… which is your favorite? I’m particularly exited about this dress I picked up during the Anniversary Sale that’s marked down to under $50!! SHOP ALL LOOKS IN THE TEXT SECTION ABOVE! Love the flats in look too, I am excited for Fall colors. Oh my gosh, these all look so amazing. I desperately need to go shopping, apparently. I really love that rust color.